Day #4 of Cheap Art Week! How have you felt about the line up this far? I’m feeling pretty great about getting them up on the wall. 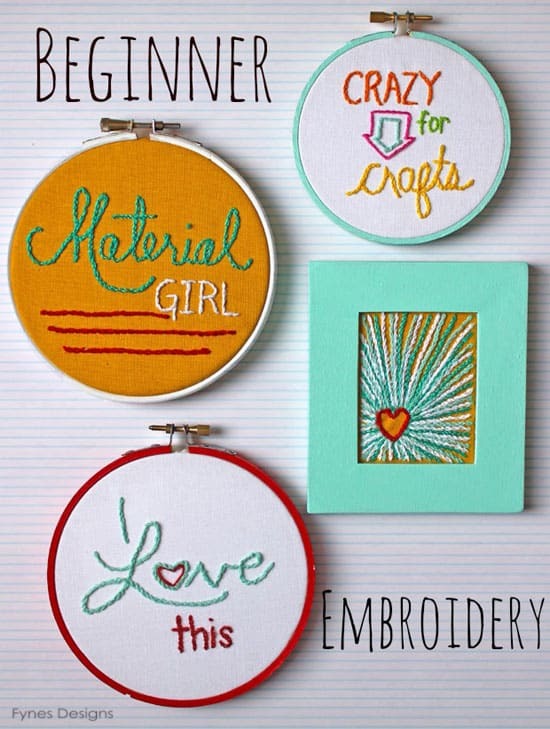 Today I have a beginner embroidery project to share with you, this is great for beginners. Guess what? This was my very first embroidery project, I think it turned out pretty great. The only supplies I actually had on hand specifically for embroidery were the hoops, so I planned my projects to fit those sizes. I used regular cotton fabric, just scraps of white and yellow I had lying around (2 layers). 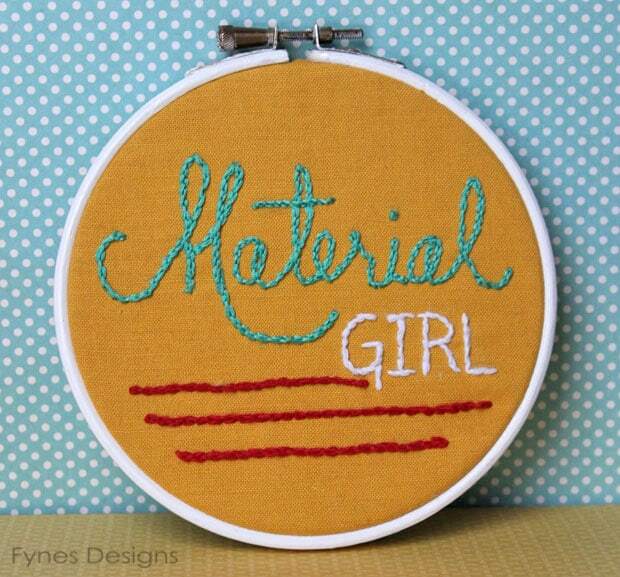 A pencil, embroidery floss or bakers twine, a long skinny needle, and an embroidery hoop. 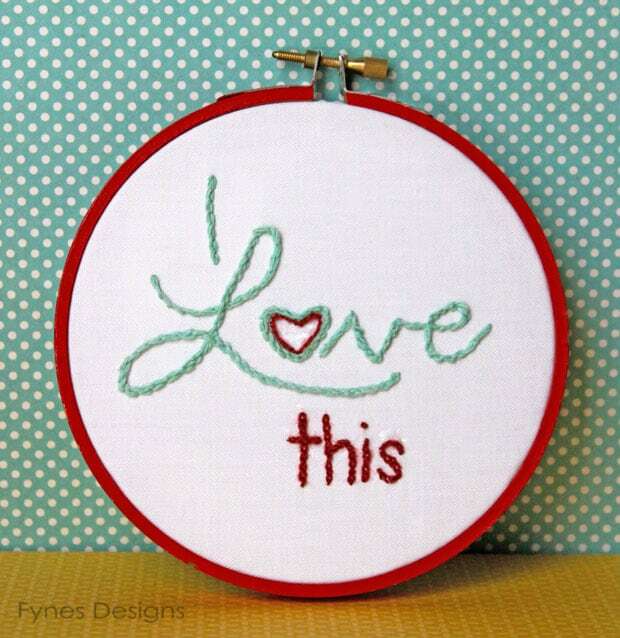 I then penciled on the phrase I wanted to embroider. Not great at free hand? 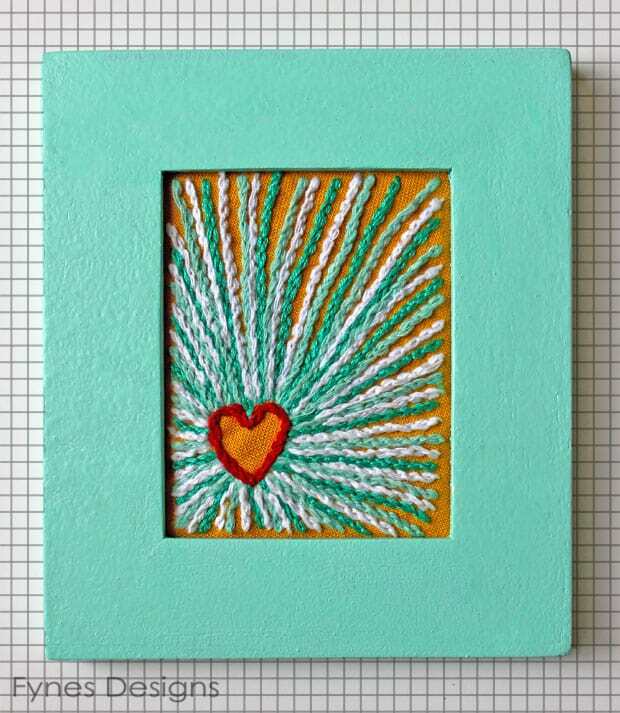 Check out this tutorial on transferring methods. Next, I got to work on the embroidery. You will more than likely want to separate your strands of floss (I most often took two strands out of my working piece, for the bakers twine I separated the colors then used the one I desired). When complete I finished my hoop by trimming back the fabric about 1″ over hang, iron it down, and sew a felt circle to the back. For the framed piece, I took the glass out of the frame, wrapped the fabric around the glass and put it back into the frame. 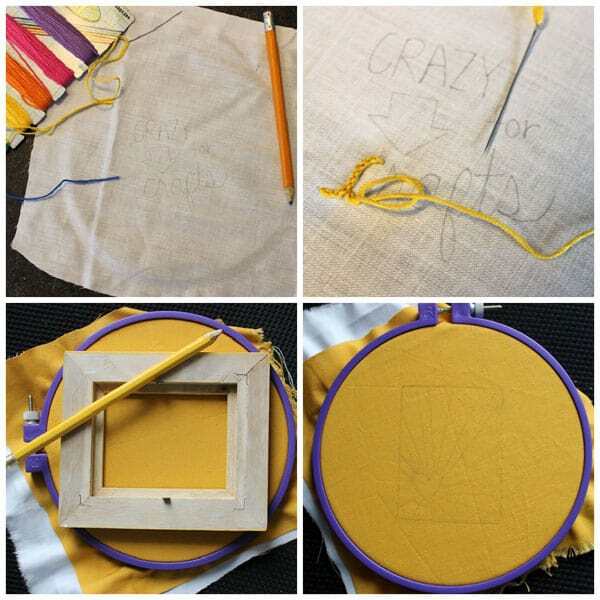 I hope you give embroidery a try it really isn’t hard, it is a great activity to do in front of the tube. Can you believe I only spent $2 on all 4 of these pieces?? I had most of the supplies on hand and I found the hoops and frame at the thrift shop. Give your wood frames a little coat of paint for an instant facelift (you only need to paint the out side of the biggest hoop. 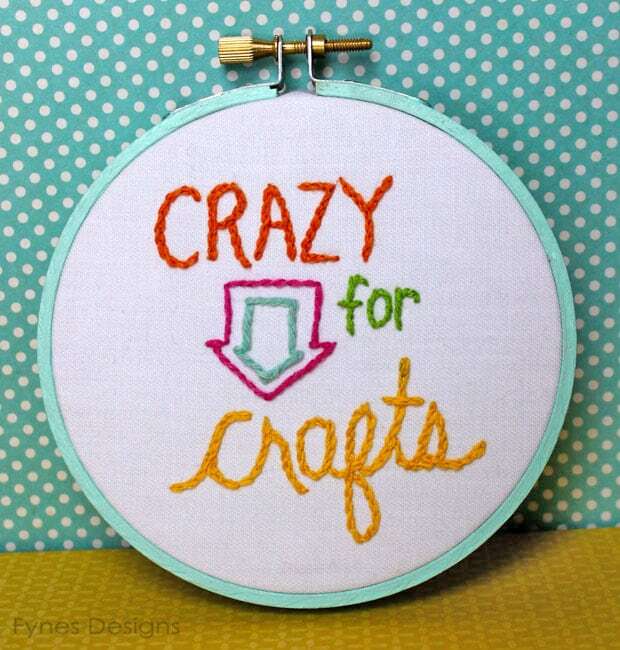 Perhaps I’ll even give a few more stitches a try, and I’ll be back with more! This DIY project is amazing! I love it.